CLICK HERE to become an Elf Clan affiliate grid or land. Elf Clan lands currently consist of 80 regions on 5 islands / worlds. You can join Elf Clan as a member or even as an official Elf Clan affiliate world. This article covers the how to as well as basic guidelines. Visit any of our AFFILIATE GRIDS, Search for the ELF CLAN group, and JOIN. It's open-join on all affiliate grids. You can join on multiple grids if you wish. GRIDS please contact us to have us set up the Elf Clan group on your grid and add you to our list of affiliate grids. People become an Elf Clan affiliate land because they wish to declare their lands family-friendly, themed lands. It costs you nothing, we take charge of nothing, nor do we interfere with operation of your land. Elf Clan is widely-known for its G-rated, family-friendly, theme-based lands. Many people love this concept and wish their lands (and even groups) to be affiliated with Elf Clan. We feature the themes of fantasy, science fiction and steampunk. Joining your land to Elf Clan gains you recognition as being visitor- and family-friendly. As we list all affiliate lands on this site, it can gain you visitors and bring you new friends. Moderation of your lands / regions remains totally under your control (if we happen to receive a complaint we simply forward it to the land owner). You can retain your own group identity and still be an Elf Clan affiliate. To join your land to Elf Clan, please contact Snoots Dwagon on OSgrid or Moontan Valeeva on Kitely. It is best to do so by notecard, as IMs can get lost or capped. Upon approval (verification of information via exploration) we will send you the Elf Clan Banner, which is placed at or near your landing point. This lets visitors know you are a family-friendly land that supports the Elf Clan Charter. To examine what joining your lands to Elf Clan entails, please read our Visitor Guidelines. These will provide you with a good, short-to-read outline of how the Elf Clan group operates. If you wish you can then read the rest of the Charter for more detailed specifics. Please note that many changes have taken place recently. If you feel something in the Charter is out of date or needs revised, please let us know. * Honor * Respect * Friendship * Charter concepts are appealing to many. It is that concept that brought so many people to follow us to Inworldz and eventually set up 54 unique regions. It is that concept which caused Elf Clan to grow beyond our greatest expectations. At this time the framework of Elf Clan has changed. When we were on Second Life we were forced into a small, concentrated land area due to excessive cost. When we moved to Inworldz, in order to maintain our group's "early adopter" discount status we had to maintain a minimum of 28 regions (which we exceeded considerably). Both situations required us to be stationed on one central grid and remain "land-locked". By sheer numbers we achieved affordable lands. When we first moved to Inworldz, it was the only real viable option. At that time no other grid outside of Second Life offered group-oriented functions or coalesced inventory (the ability to take unlinked objects to inventory and re-rez them in original form instead of a pile of puzzle pieces). So the choice was straight-forward. Today, eight years later, things are different. OpenSim has grown. The severe lag once experienced there has improved. With the appearance of VARs (VARiable land-size regions) sim crossing has become far less an issue. OpenSim now has group functions and fully-functional inventory, as well as the Hypergrid which connects grids together on a virtual teleport highway. What this means is that Elf Clan members can now choose from several grids. We are no longer limited to one, single option. Many of our members have never owned a region before, primarily due to the cost. Even on Inworldz our discount price of $40 a month could be out of the pocketbook range of many. However... what if you could own a region for $20? $15? $10... or less? Grids outside of Second Life and Inworldz offer an amazing range of packages designed to meet just about any pocketbook. So you can now pick a grid, choose the price level you can afford, and set up home. There is no longer need to rent land... when you can own an entire region for a price so low it's difficult to resist. As far as hobbies go, owning your own region is now a fairly inexpensive choice. On the other end, our highly-creative power-builders can obtain lands that can meet pretty much any goal you can dream up for around $40 a month. Most of our members came to Elf Clan for one reason: we are a G-rated, family friendly fantasy-themed group. People like our peaceful, harmonious, beautiful lands and find them a beautiful place to relax, free of the pressures of outside lands. The core of this is not a grid, nor an area of land... but the Elf Clan Charter, which for years has guided our group. So long as a member is willing to implement the concepts of the Elf Clan Charter on their lands... that land can be an "Official Elf Clan Land" no matter where it is based. This is done by the simple step of contacting one of the names on our home page and posting a banner (which we will provide you) at the entry point of your land. The banner bears our group logo and simply reads: "Elf Clan - G-rated, Family Friendly". When choosing a grid, please be sure to read the fine print. Most grids have websites. We recommend you examine those sites thoroughly. Some grids have costs in addition to their monthly fees. Some have "gotchas" which you may find incompatible with your needs. Some may offer special features that you will very much desire. Pretty much every grid has its pros and cons. The trick is in the details. Pay attention to the details. Both Second Life and Inworldz offered single regions measuring 256m x 256m. Crossing a sim line limits the number of avatars that can ride a physical vehicle and also involves data exchange between the regions that involves a certain amount of time. "Sim crossing issues" are well-known on single-region grids. VARs, or Variable Regions, expand the size to whatever the grid allows. Some grids offer "2x2" regions (512m x 512m, or 4 regions total in size), "4x4" (1024m x 1024m or 16 regions in size) or even huge 6x6 (36 region) VARs. So for those who want lots of land, sailing oceans or flying area, these super-regions can be a very pleasant surprise. No sim crossing issues (unless you manage to move across the entire VAR), and lots of room for landscaping, forests, streams and lakes. If you're a person who likes to spread out your creations, a VAR can provide you a vast sandbox. Be aware that regardless of the size of a VAR, in most instances it is still controlled by one server (ask the grid company for specifics of server provision). Just because a VAR measures 8x8 and allows a million prims doesn't mean the server can actually handle whatever you throw at it. You still need to be conscious of texture use, scripts and other issues, the same as you would with a single region. The main difference is you have far more land now available to you. THAT SAID... if you use good, low-lag (or zero-lag) scripts, watch your texture placement and build sensibly, you can do some rather remarkable things on your VAR. On our Elf Clan Home lands we decided on a 5x5 VAR (25 regions in area). The majority of that is sailable ocean with the occasional island or landmark. IN THE MIDDLE of this incredible-size area we have ElvenSong, the Elf Clan Home region. It is loaded with items including: ElvenSong Castle, Elf Clan Museum, Dwagons Keep, the Elf Clan Gardens, the giant Poet's Tree, Dance Grotto, Thirsty Dragon Tavern and much more. In high sky we have REPLICANT CITY-- The huge science-fiction-themed, highly-interactive multi-museum that was enjoyed by many a visitor on Inworldz. In other areas of high sky we have six Star Trek themed venues, including bridges, a space station, Holodeck and Astrometrics. In addition to this we have a huge sailable ocean with functioning rezzable ships. This is all on one region which measures 1,280m square. ElvenSong is one of the most building-intensive, power-scripted regions in all of Elf Clan... and we managed to put all of this on a single VAR on our own server with no discernible lag. Build smart and your VAR will be happy. So this gives you an idea of what can be done on a VAR-enabled grid. The creative freedoms you'll experience and the vast open-travel can be incredible. Imagine building the worlds largest virtual roller coaster... or a train system that travels 36 regions... or the greatest forest/lake area you can imagine with your home right in the middle. Handled correctly and sensibly, VARs are one of the greatest features of OpenSim-based grids. Is building not your thing? You have two choices: the markets (which contain many items that cater to the Hypergrid)... or FREEBIES. You see, freebies are all over the place. You can create an entire world based on just freebies. If you visit somewhere, right click on an object and it says COPY... you can copy it. That's all part of the fun. Pick freebies up, set them out. It's like Legos on steroids. What's more, if you don't have an OAR already (a pre-built entire VAR), there are FREE OARS on the Internet, ready to download and upload to your preferred grid. Instant world! WHAT GRIDS ARE RECOMMENDED FOR OUR MEMBERS? Just because we have decided to home on OSgrid doesn't mean all of Elf Clan needs to do so. You can do so if you wish, but there are other options, depending on your personal needs. We already listed recommended grids in the first part of this set of articles. Which you choose is completely up to you and your needs. What we can do is provide a little insight based on our years of creating lands and groups. Considering the nature of the Hypergrid (being able to port anywhere and chat with anyone, anywhere), "because that's where most of my friends are" isn't necessarily the best reason for choosing a grid. We encourge our members to consider ALL areas of importance (price, prims, services, ease of use, etc) when chosing where they are going to make their virtual home-- possibly for years to come. OAR files are complete copies of your region/VAR... including land, objects, scripts, the whole works. It is basically a "data photograph" of what you build. Such files can be made and saved to your own hard drive for absolute security of your work in case any individual grid winds up no longer existent. So you will want to inquire as to the grid's specific OAR policies. Are they made for you or do you create them? Are the oar files kept on their servers or available for you to download to your own computer? Are there fees involved in creating OAR files? These are very important questions to ascertain before "buying a home". IAR files are copies of your inventory. These too can be saved to your hard drive. Similar questions should be asked about IAR policy; some grids offer IAR... some don't. If however an item has restrictions (nomod, nocopy, notrans or no transport)... it will be excluded from OAR and IAR files. That means if the grid crashes... those items will not be able to be restored from your backups. Inworldz had no OAR or IAR capability. Elf Clan members would do well to remember that experience. Most items found on OSgrid are free and quite often full-perm. If you decide to shop at a market on another grid, be aware of the PERMISSIONS before purchasing the object, then make your decision to purchase according to whatever limitations you are willing to accept. We will very briefly discuss here the primary strengths of the three grids we fully examined. We cannot discuss Inworldz / successor as there is (at this time) no official structure yet announced for that grid, it is not to be connected to the Hypergrid, nor does it offer OAR, IAR or VAR ability. We also do not here include grids that charge fees for services normally included free on most other grids, as such charges can significantly increase your monthly costs. SUMMARY: Total control. Prices range from free* to reasonable. This is considered the "center" of OpenSim activity. It is the "generic" OpenSim grid which offers a rather nice option: you can host your land yourself, either on your home computer-- or via a server-provider. You can have full, 100% control over every aspect of your lands. This is somewhat for the do-it-yourselfers. OSgrid is pretty much raw OpenSim code without the specialized DEV work provided by high-tech grids. There can be quite a bit of effort involved in setting up your own server if you decide to go that route. If you use a server-provider that hassle is largely eliminated. Home-based self-servers are FREE aside from the cost of electricity. Server-providers charge a fee for server space and service. So you can check around and decide which you prefer, depending on your techinical skills and pocketbook. Lots of "freebies" on OSgrid (and the Hypergrid for that matter). You can build an entire world just out of freebies. Due to the "free" nature of the grid, OSgrid offers full unlimited OAR and IAR processes. * Be aware that nothing is actually "free". OSgrid does have overhead, and regular funding drives are held to pay for such. All members of OSgrid are encouraged to give as generously as they can in order to keep the primary asset servers online... and even improve the quality of those servers over time. SUMMARY: Lots of LAND for your money. Social grid with privacy options. DigiWorldz offers up to 6x6 VARs that can be connected side-to-side, allowing groups to create entire continents should they choose. Plenty of air and water space for those who enjoy vehicle travel. DigiWorldz has a market system and a strong social center. It offers a wide variety of packages by separting land and prim purchase. Decide on the type of land you want, then add to that "prim paks" to meet the total number of prims you will likely use. If you don't need a lot of prims one of their low-price land packages may suit your taste. DigiWorldz offers both the least-expensive and highest-end land packages-- depending on your needs. If you want super-cheap first-owner land, this is a good option. Larger, more prim-packed lands are available, depending on your pocketbook. DigiWorlds offers low-pricing packages that make regions available to those who could never before own their own lands. Both DigiWorldz and Kitely are very user-friendly and have excellent tech support. With any grid, count the land size desired along with your total prim count needs to calculate the cost per month of owning your own region, and then purchase what you need. You can always expand later if required. SUMMARY: Lots of PRIMS for the money. Total privacy by design, social if desired. Kitely offers up to 4x4 private worlds that are hidden in every way from surrounding lands, "worlds within the world". Kitely is best known for KITELY MARKET, a large, highly-professional shopping system akin to SL Marketplace. Many items can be taken to whatever grid you wish (check the permissions before purchase). Kitely owners are very friendly and support is excellent. Kitely offers three simple plans that are easy to choose from. All of these plans are low-cost. In order to accomplish that, your region "turns on" only when you or someone else enters the region. A short period of "log in" time (usually ranging from 40 seconds to 2 minutes) is required, during which you wait for your region to load. This is not an excessively long time; Kitely members soon get used to this unique process. Each Kitely region is a "world unto itself". You can teleport to other Kitely "worlds" and vice versa, but cannot be connected side-by-side to other worlds. This is great for those who want absolute privacy, as each Kitely world is physically invisible to those around it -- even by camera. See the Kitely website and read thoroughly regarding this arrangement. Kitely offers strong and functional website-based tools for its members that allow you to create your own OAR files, download them to your hard drive, and manage your region without entering the world itself. Kitely does not offer IAR ability. The most observable thing about this grid is its age (going on 10 years now) and its balanced price / land / prim structure. It is moderate in all directions, both land and prims increasing as one's pocketbook allows. Friendly tech support, a solid-feeling foundation and long time in the business makes this a worthy choice. Members will want to ask them about their OAR and IAR policies before settling in and make sure grid policy meets your needs. 2) Research and examine the grid you're considering to see if it meets your needs and pocketbook. * Register with the grid, go in, check it out. See what you think about it from first impressions. Spend a few hours (or days) exploring and getting used to it. There's no rush to buy-in. * Read the website. Each grid has a website that tells about what it offers. Read it as thoroughly as you can. * Read between the lines, read the fine print. Pay as much attention to what they don't say as to what they say. * If you have any questions, CONTACT the grid owners, file a support ticket, or go in-world and speak with the users. * Do they allow OAR backup? Is there a charge for such? * Do they allow IAR backup? * How is the grid itself backed up? To local servers or to external servers? How often? * How many people are involved in managing the grid? * Is the grid connected to the hypergrid or is it a "closed grid"? ... etc etc. You may wish to write down a list of questions to ask. Remember: you're not just handing them a little bit of money and "let's see what happens". You will likely be paying this company a regular fee, every month, for a very long time. Your investment will add up over time... so make a wise choice. ...is that Elf Clan has a home. The other good news is that you can choose to join us... pretty much anywhere. You can be an official Elf Clan landholder... or not, as you wish. The question to ask: do you love the concept of Elf Clan and wish to remain a part of that concept? Everywhere the Elf Clan banner is seen, people will know these lands are open to visitors, G-rated, family-friendly, and real life is left at the door. Elf Clan is where people come to get away from real life, to relax, to enjoy friends and community. You will not harm Elf Clan if you decide to not be an official land. You can help Elf Clan grow in popularity and reputation by hosting beautiful, official Elf Clan lands. The choice is entirely yours. ELF CLAN HOME: ElvenSong at OSgrid. ElvenSong is part of the 75-region Elf Clan continent which includes ElvenWorld, ElvenGlen, Dwagons Keep, the high-sky science fiction themed Replicant City, and vast sailing oceans. Elf Clan's community forum is located on MeWe.com. Group search for ELF CLAN to join. Read the following for details. Please be sure to register and join the Elf Clan group on DigiWorldz, Kitely and OSgrid. Other grids where Elf Clan is located are listed further down on this page. We expect you have been waiting to hear where Elf Clan has decided to locate our new home. We are pleased to announce the Eldar have come to a unanimous decision in this matter. First, we would like to thank you all very much for your patience. We have spent over four weeks of many-hours-a-day intensive research to come to our decision. This has not been an easy decision to make... because we wished to arrive at a solution that would be beneficial to all of our members, not just some. We have heard the phrase, "You can't please all the people all the time". And yet that's what we have been working to accomplish. As far as our group members go, we believe we have arrived at a solution that best achieves this goal. Note: None of the following is absolutely set in granite. Our group is learning to become more flexible; these things may change as needs and new opportunities arrive. On July 27, 2018 the well-known Inworldz grid went off-line. All customer inventory assets were lost. At this point in time even restoration of lands as they existed is improbable. There are many reasons this happened, but the primary reason entails one simple issue: Inworldz was a "closed grid" and did not follow the standard business practice of maintaining an off-site mirror backup of vital information. So when the servers were shut down by the hosting company... the entire asset data system was lost. Because of copyright and intellectual property issues, even restoration of the lands themselves is under question (as of the writing of this article). In light of these issues the first thing the Elf Clan Eldar considered was whether or not we wished to remain part of a "closed grid" system. The answer was no. Group position in this: After our experience with Second Life ($50,000 group land investment) and Inworldz ($150,000 group land investment), we shall never again support nor invest in a closed grid. There was no question among the Eldar in this matter. We consider closed grids and entrusting our creations solely to another entity to be a very costly bad idea. We wish to clarify that any Elf Clan member who wishes to remain part of a closed-grid is welcome to do so and still remain part of Elf Clan (even officially). However we have arrived at another solution for the group in general. By this concept: We have decided to host our primary land ourselves... on our own server. We have made this decision because it allows us maximum, 100% control over our historic creations, and 100% security in the handling of our home lands. The downside: it takes a bit of tech-work and time on our part (more on this later). Elf Clan home lands are located at: ElvenSong region on OSgrid. This is a 5x5 (25 region) VAR. It is mostly ocean with lands in the center. ElvenSong is at ground level with Replicant City in high sky, as it has been for the past 8 years. Our new home is quite functional and work as well as they worked on Inworldz (better, actually). We have far more space and lots of sailing room. The fact that we now have a huge 75 region continent means we have more land space than in our entire history. This doesn't even include Elf Clan members who have set up lands on other grids such as Kitely and DigiWorldz. While self-hosting on OSgrid is where we have decided to base our home lands... that is not necessarily the choice our members will make. In this regard, we have set up Elf Clan as a group on several grids. Elf Clan members may set up their homes on any of these grids and if you so desire, still be an official affiliate Elf Clan Land. All that is necessary is to agree to abide by the Elf Clan Charter. We will provide you with a beautiful banner to present at your entry area and you'll be ready to go. Currently there are no group announcements, nor need of such. If that changes we'll let everyone know on this website. Events will be held by individuals on their grid of choice and announced there. The format of our group has changed. Instead of a centralized, land-locked group we are now spread throughout the Hypergrid in individual "mini-kingdoms". We believe this a good thing, allowing greater diversity and protection of group and individual assets. Our members are numerous and have varied interests. Some prefer total privacy, while others wish to host event areas. Some are creators and wish to have lots of prims available, while others prefer wide-spread landscapes. As the Eldar considered these matters we realized Elf Clan can adapt to all such needs. After our experience with closed grids, it would be unwise to put all our eggs in one basket. Elf Clan is a themed group and we are no longer land-bound. Some groups require centralization: sailing groups, role-playing groups, continent-based groups. Elf Clan is a concept... one that can exist throughout the virtual worlds. The existence of the Hypergrid allows our members to create a home anywhere they wish... and attend events / visit friends regardless of location. Our members can have avatars on multiple grids, even keeping the same name on several grids. This reality of modern-day virtual worlds helped us realize that our group no longer needs to centralize. Elf Clan lands can be anywhere. By allowing and even encouraging our members to pick a grid of your own preference, we expand the concept of Elf Clan throughout the metaverse, spreading our creations and concept across the Hypergrid. We can host events wherever we choose, socialize wherever we choose, travel wherever we choose. We are no longer limited within closed-wall grids... nor shall we ever be again. WHICH GRID SHOULD I CHOOSE? 3rd Rock Grid. An old and established grid with a good reputation. Easy-to-purchase packages and regions that run approximately $1 per 1,000 prims, depending on the package. Friendly tech support. Strength: an even balance of prims and land for your money. DIGIWORLDZ. A vesatile grid that caters to those who prefer a social environment (or total privacy if you choose). Strength: Lots of land for your money. KITELY. Offers "worlds within the world", lands completely invisible to surrounding lands (or create a community if you choose). Strength: lots of prims for your money. OSGRID. This is the "central test grid" of OpenSim and the hypergrid. There are several options for setting up on OSgrid, ranging from hosting your land yourself on a home computer, hosting your land on a purchased server, or renting a ready-to-go land from a land-server. This is for "do-it-yourselfers"... those who perfer 100% control over your lands. There are other grids which we have not had time to properly examine. Be aware that grids come and go. Some have costs in addition to basic monthly fees. Be sure to read the fine print... and the second part of this set of articles for additional information. Welcome to the new age of Elf Clan. Please visit this site's home page for contact information and to request inclusion in the list of Elf Clan Lands. Ilan Tochner of Kitely. Ilan bent over backward to assist us in relocation, explained how both Kitely and the Hypergrid worked, and was professional and good-natured about it when we discovered (for specific technical reasons) that we needed to self-host our home regions. Kitely's tech support and friendliness is outstanding. Nox and Terry of DigiWorldz. We could not have asked for a more friendly welcome. Nox spent quite some time showing us around the grid, explaining how it works, and she and Terry answered every question we could throw at them. These very-helpful people have welcomed new members time and again. 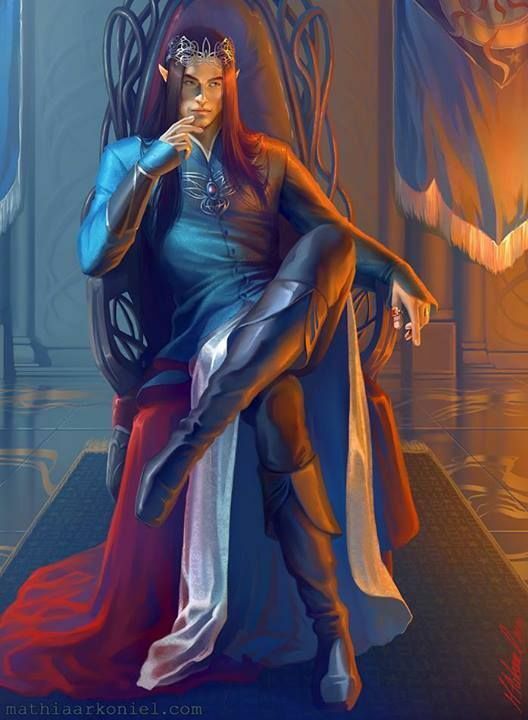 KONI LANZIUS of ElvenWorld. Koni hosted Elf Clan's home regions while we were getting back on our feet, made us aware of the benefits of the Hypergrid, and was instrumental in getting us the help we needed to self-host our own VAR with OSgrid. For those of you who are not builders and wonder what you can do with freebies... visit Koni's home land of ElvenWorld on OSgrid. It is made up almost entirely of freebies acquired from the hypergrid as well as creative donations from her friends. ElvenWorld is quite amazing in scope. We are pleased to announce that ElvenWorld signed up as the first affiliate Elf Clan Land beyond our home lands and bears our group banner at the entry point. THE TECH. Name withheld so he doesn't get swamped by requests... this kind, generous person was highly instrumental in helping us set up our own server system. Elf Clan had a unique situation with special hurdles... and he stuck with us the entire time, over days of special problem solving. He never asked for anything in return other than friendship, and personifies the giving nature of the OpenSim environment. You know who you are... and you are much appreciated. Our special thanks. Please contact Snoots Dwagon at OSgrid to add your region/grid to our list. To be an affiliate region one agrees to abide by the Elf Clan Charter (present on this website) and display the Elf Clan Banner at the primary landing point. Minimal hassle, widely-recognized group. These things are very important to us, both as a group and as individuals. When the Inworldz grid closed down all asset information was lost. This means inventory items, creations and creator information was lost as well. Elf Clan lands are historic regions, dating from the very early days of Second Life and onward. Our lands went through four distinct creative phases before the recent fifth re-creation forced by the destruction of Inworldz. Elf Clan Home Lands contain creations and donations by many people. Those creations are part of our history, tracking our growth as a group over a period of 14 years. Unfortunately when Inworldz shut down and those lands later re-built, no creator information was retained in the reconstruction files (OARs). As a result all creator names were lost... and items re-constructed on our lands were re-constructed under one owner/creator name (that is how OAR files work in a situation where no asset information exists). The chosen name is our friendly tiny Snoots Dwagon, who will be in charge of maintaining these lands. If you find your creations on our primary ElfClan lands, we request to retain those creations on these lands only, as part of our history. We give you our solemn oath those creations will not be copied, transfered, sold or otherwise knowingly distributed. Your creations will be considered a solemn trust... part of Elf Clan's history. If you contact either Snoots Dwagon (see contacts on our home page), we will be happy to provide Attribution Notice-- adding you to a posted list of creators contributing to our historic lands. It is our desire to give you credit for your work as part of our history. If you do not wish your items to remain on these lands all you need do is let us know. Quite often we will already recognize you as an Elf Clan Creator and will honorably comply with your removal request. If question remains as to creator authenticity, we may request additional information according to established intellectual property guidelines. The creations on our primary regions present a visible, major part of Elf Clan's history. These are regions people recognize as the Home Lands of Elf Clan... and span many years. We hope creators consider it an honor to be a part of this, as we consider it an honor to have your creations as part of this tribute to Elf Clan-- the oldest active Fantasy Group in the virtual worlds. Elf Clan Land-- FREE or Rent, your choice! The following information is for archival purpose only, as part of Elf Clan's history. Have you wanted to live on beautiful Elf Clan lands... but simply couldn't afford it? In these days when rent, food, energy, insurance and health costs are so very expensive, for some people it can be difficult to come up with even $10 to spare. You are not alone; we understand-- and have worked to make provisions for members willing to contribute a little bit of time to the group. YOU CAN GET FREE LAND... or be a Patron! We have now set up Mellyn region (Elvish for "friendship"). This is group-owned land, paid for by generous group donations from our Elf Clan Patrons. We thank you very much for supporting this project! EVENT HOST-- FREE LAND. If you can spare 1 to 2 hours a week (depending on the event you choose) you can obtain a free 64x64m plot with 2,000 prims of building allowance. Elf Clan needs Event Hosts to hold regular events. Hosting events is easy... we'll even teach you how. All we need is for you to host one event per week... and you can have a good-size land plot on beautiful Mellyn. ELF CLAN PATRON. If you have some cash to spare, for as little as $10 a month you can become an Elf Clan Patron (<--- click for more info). $10 brings you a 64x64m 2,000 prim plot, $20 brings you a 64x128m 4,000 prim plot. Being a Patron not only brings you Elf Clan land, but helps support Elf Clan Arts and Events. So it's your choice-- fee (Patron) or free (Event Host). Either way, inexpensive land is now available! DO BOTH-- GET MORE LAND! You can sign up as a Patron and volunteer as an Event Host... and get more land. A Patron at $10 a month level gets 64x64m, and a regular Event Host gets 64mx64m. Do both... and you get 64x128m... double the land! WHICHEVER MEETS YOUR NEEDS... you can take part and help meet Elf Clan's needs at the same time. A group with active, regular events as well as residential lands forms a community that thrives and grows. Your local neighbors will seem like family. The special title of Event Host makes you part of a group that help attract attention to Elf Clan and spur on group enthusiasm. WANT FREE LAND? Volunteer to become an event host. Want land and can afford to be a Patron? That's what provided the isle of Mellyn to start with. Or do both. Please contact SNOOTS DWAGON to sign up for either offer or both. Your participation and support is greatly appreciated... and you'll become part of the central core of Elf Clan community! Note: the following applies to those renting Elf Clan - owned lands. Rules may differ for those renting from individual Elf Clan region owners. In this document, Patron land holders and "renters" shall both be referred to by the term "residents". WELCOME to Elf Clan Lands. This guide will help you in your building according to theme and group policies so that all Patrons and renters exist in the harmony and beauty that is the hallmark of Elf Can. Please note that these are guidelines. Some are "rules", but flexible ones. Please contact region manager SNOOTS DWAGON for consultation if you wish to do something that seems outside these guidelines. NO RUSH. First, don't feel rushed or under pressure to get your building done right away. Take your time. Enjoy the building process. No one is here to judge your build. The best builds take time and often undergo many changes along the way. You need to be a member of the ELF CLAN BUILDERS group to be a resident on Elf Clan lands. Please contact Snoots Dwagon for membership invitation. If you've signed up as a Patron, likely invitation has already been extended. Elf Clan lands are designed according to our VISITOR GUIDELINES. All residents should build and conduct themselves by those guidelines. Group theme is: Fantasy, Science Fiction and non-contemporary Steampunk. Mind you, these three themes allow for a broad range of creativity. The idea is to avoid that which is mundane and contemporary... and employ our imagination in building. For an example of Steampunk theme: one should not enter Elf Clan lands and find themselves feeling as if they are in Victorian London. Steampunk goes beyond basic Victorian concept and into the fantastic. It's not England... it's Steampunk. One should employ that concept for all it's worth. Contemporary or real life historical concepts should be completely avoided at ground level. The same holds true for the field of Science Fiction. Emphasis should be on awe and imagination as opposed to blocky, sterile buildings. The theme may be science fiction, but it is still Elf Clan. Beauty and unique is the focus in building on Elf Clan lands. In the same manner, Fantasy should conform to the concept of beauty and imagination for which Elf Clan is known. Darker concepts-- although fantasy-- would not fit into that theme on rental lands. This does not apply to full Elf Clan regions... but even they need remain within Elf Clan Charter family-friendly concepts. Of course exceptions can be made in some instances. If you have an interesting idea or concept and are concerned as to whether it is acceptable theme, please contact Snoots Dwagon for discussion. While it is realized each parcel will be individual and even have different themes, neighbors should cooperate at parcel edges to try and make their builds compatible. What has gone before takes precedence. So if there is an existing path on a neighbor's parcel, either continue that path or present your neighbor with an alternate idea upon which you can both agree. If a pond exists that covers two parcels, it should not be altered on one parcel without the express permission of the neighboring parcel. In short, all builds, regardless of theme should be cohesive and harmonious to as much an extent as possible. That stated, do remember that each plot is individual... and different people have different tastes. Try to be good neighbors, at all times. Elf Clan has a history of avoiding flat land, with few exceptions (one of them being the ElvenMyst sandbox. Flat land is dull and lifeless. Flat land has no personality. It is our experience from long years of region design: if one is urged to build around randomly terraformed lands-- those builds can become quite creative. You may employ platforms, build into the sides of hills (a hill can be terra-cut to allow an insertion), or if you are using mesh or artificial ground scaping the land can be totally flattened to make way for such an item. 1) You must be an experienced terraformer. Due to safety for surrounding parcels, inexperienced ones should ask us to do the terraforming for you. We are happy to do so. 2) So that lands are not accidentally terraformed, terraforming is normally turned off. If you have special terraforming needs, please contact Snoots Dwagon to turn your plot's terraforming on, then when you are done have him turn it off again so your land cannot be damaged by neighbors or griefers. 3) You may if you wish ask to have terraforming on all the time-- but realize this opens your land to hacking. While such is unlikely, we cannot be responsible for damage done to your land (accidental or otherwise) if you have opted to leave terraforming turned on. In short: it's just not a good idea to leave terraforming turned on. Asking for it to be enabled and then disabled may be inconventient at times-- but it provides safety for your creations. 1) If possible, make them phantom so people flying don't get tangled up in them. 2) Please avoid "full bright" or "glowing" trees. They seem unnatural during daytime and stand out like street lights at night. Such items disrupt the beauty and continuity of the land... like putting spotlights all over a property. 3) Avoid "flexi" trees. Large flexis are known to lag regions terribly. If you can change full bright / glow / flexis to not so, that is best. In short... if you can't mod a tree, it's probably best to use a different tree. You may create a skybox from 1,000 to 4,000m. Higher skies are reserved for group needs and activities. If your theme differs from standard G-ratings, it needs to be totally enclosed in an opaque, attractive "scenic box". G-rated sky builds can be left open for public visiting if you so desire. Theme is not required in high-sky... but of course is welcomed and encouraged. Sky boxes must of course be contained within your parcel boundaries. If you have any problems or need assistance, please contact Snoots Dwagon. Disclaimer: While we will always do our best to assist and accomodate residents, Elf Clan is not responsible for any issues or problems with land renting / patronage, nor are any guarantees or warranties made in regard to such. Each land owner understands the sometimes temporary and uncontrollable nature of virtual worlds and assumes all responsibility in residing on group lands. If it ever becomes necessary to shut down or alter a region, we will do our very best to give residents advanced notice and help them in relocation should they so desire. It is our wish for you to fully enjoy your residence on Elf Clan lands. Enjoy your new home with Elf Clan. And Patrons... thank you for your assistance in promoting Elf Clan lands and activities! Some people on Second Life have expressed regret that Elf Clan left, stating that it left a void in their virtual life. We too regret that step was necessary. But Linden Lab just kept raising prices to the point that as a group we could no longer grow. They constantly put their corporate profit line ahead of customer welfare. Eventually they drove us to seek greener pastures where Elf Clan could thrive. That doesn't mean people on Second Life still can't be part of Elf Clan. It just means setting up an avatar and visiting our "new home" on Inworldz--where we've been since May 2010 (we're currently celebrating our 8th anniversary here). Elf Clan spans more than thirty seven regions on Inworldz, all owned by individual members. That's quite an increase from the very-limited two single-owner regions we had on Second Life. We aren't limited to only "belonging" to one grid. Elf Clan members can join multiple grids and travel freely between them. If you would love to own land but can't afford the outrageous prices of Second Life... come to Inworldz. Elf Clan has a special arrangement that provides us full-size, 45,000-prim regions for only $40 a month. It's a creator's paradise. Even if you don't purchase land, you can sign up with the Elf Clan group on Inworldz and receive our event announcements. Our events are as unique and interesting as ever. Gain the best of belonging to two grids. Come join us at Inworldz and see what Elf Clan has been up to for the past eight years! Inworldz and Second Life are not mutually exclusive grids. One can enjoy activities on both. Many of our Inworldz members regularly visit Second Life to see old friends or attend events-- especially those in the Tiny community there. We don't have to delete our avatars on SL to join Inworldz; we can enjoy DUAL CITIZENSHIP and move freely between the two grids. * Pirate Cove re-born in all its glory, and better than ever-- with four rezzable ships and an entire sea sim right next door that connects with three other regions. Sail to your heart's content! * Salty Dragon Tavern... our best tavern yet. * Our famous Drum Circle... the original drum circle and Elf Clan's oldest event. * SEVEN (yes count them, seven) high-sky Star Trek environments including starships, bridges, K-7 (the Trouble With Tribbles space station), and the planet surface of the Guardian of Forever. * THREE sim-size race tracks, including the new Giant Spider Races-- a huge dirt track where you can choose a giant spider, slug or housefly as your racing vehicle. * CRITTER BALL has returned! Yes, the game of tiny soccer with a monster-size ball-- and it is fully automated for 24/7/365 fun. * Fully automated DRAGON FIGHTS with free dragon avatars. * ARCHERY RANGE with three automated target systems and free equipment. How are we able to get all of this on one region? Because on Inworldz our lands only cost $40 per region-- and have a 45,000 prim limit. There are no link limits (we built a space ship 105m long, 1,000 prims, all one object-- and it flies like a leaf on the wind). Not only that, but on Inworldz there are no upload fees. Many people come here to design and test their products and then import them into Second Life at greatly-reduced development cost. All together there are twenty-three activity / event centers on ElvenMyst region. Well worth a visit! ElvenSong is the home region of Elf Clan. It contains our main castle, DragonForge Merchantile, the Elven Grotto, the Crystal Museum of Elf Clan History, the beautiful Elf Clan Gardens, Cinnamon's Glen and the mysterious Dwagon's Keep... home of the notorious dwagons. In high sky there is the hallmark REPLICANT CITY, a region-size science fiction exhibit and multi-theme museum with areas dedicated to Star Trek, Doctor Who, TRON, Portal, Firefly, Hitchhiker's Guide to the Galaxy, Steampunk and much more. You can spend hours or even days exploring Replicant City alone. Eight years in the making and fully interactive. Replicant City is a widely-known major attraction on Inworldz. Fleure's Enchanted Corner regularly hosts live music events several times a week. There is no shortage of music and dance in Elf Clan. SO COME VISIT! Join Elf Clan on Inworldz and get the best of both worlds! IMPORTANT: When settinng up your Patreon account please use your Elf Clan avatar name. Elf Clan members have mentioned wanting homes on group lands, but begin unable to afford entire regions. Historically in most societies Patrons have sponsored the arts and public events. People like Elf Clan events... so we need Elf Clan Patrons. Patrons pay a small amount that can collectively add up. Such funds provide us with the finances to pull a couple of very neat tricks. There are members who would like to live on Elf Clan's family-friendly lands but can't afford an entire region. In addition, people have told us they enjoy Elf Clan's event revival. But events cost money and require event hosts. So it occured to the Eldar we could kill two birds with one stone by using Patreon. * If we can get at least 8 to 16 Patrons, we can purchase a special residential region. * That region will provide land for homes... both to Patrons (if such is desired) and to Elf Clan members who host at least one event per week. Can't afford land? Can't afford to be a Patron? Just host one event per week (or more if you're able) and you will be provided nice piece of Elf Clan land. The more events you host-- the larger the piece of land! With Patreon, Elf Clan members can own a home with Elf Clan for as little as $10 a month... and at the same time help Elf Clan by providing funds to host events and offer incentives to Event Hosts. A region costs us $40. If we have just 16 patrons at the $10 level, that's $160... which will provide us all the funds necessary to host numerous events and pay for the residential region required. Even reaching our minimal goal of $80 a month will provide us with residential lands and essential event operating funds. All Patreon land funds will go to land Eldar Peter Lioncourt. What is left over will go to our group funding avatar for event hosting costs. The great thing is you aren't charged for Patreon the moment you sign up. Our first billing will be June 1. We must have $80 in funding by May 30. If we do, everyone is billed on June 1 and monthly thereafter. We will purchase lands and hand them out to our new Patron residents. If we don't get enough Patrons, no monetary loss occurs. We simply shut down Patreon May 30, June 1 comes and no one is billed. On the other hand if people generously become Patrons... Elf Clan can host regular, weekly events and our society thrive and prosper! WOULD YOU LIKE WEEKLY EVENTS? Do you like an active Elf Clan? If you enjoy Tavern Nights, CritterBall, Dragon Fights, Giant Spider Races, Star Trek events and much more we have in mind-- we need your help in sponsoring such. If we're going to hold events we need both the funds to do so... and event hosts to run them. Remember: no money is involved up-front. You can sign up for Patreon now... and your first payment won't be due until June 1. Please go to Patreon now and pledge your assistance to Elf Clan. The entire group will benefit. Please visit the Elf Clan Patreon page and see if you can assist. All it takes is a relatively small donation per month to assist our group in a major way.